-> Rig Buildup -> Project Nightmare! I still need to buy the dual case adapter, Lock-rite or Aussie for front, and a 4.7 gear set for the rear case. I am planning on a full exo and bobbing the bed around 12". 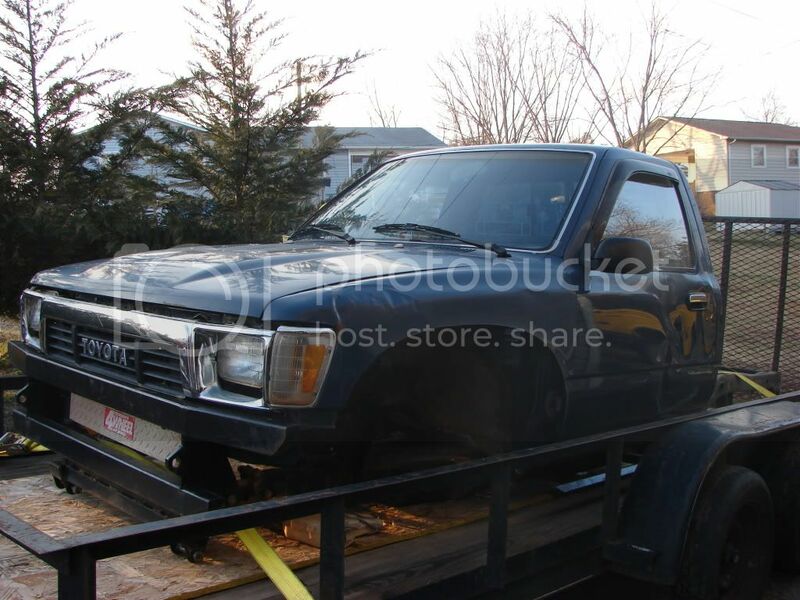 Here are pics of the two trucks that I am starting with. I am planning on painting the entire truck Desert Camo Tan with everything else black. Please feel free to offer comments and advice as I move forward. 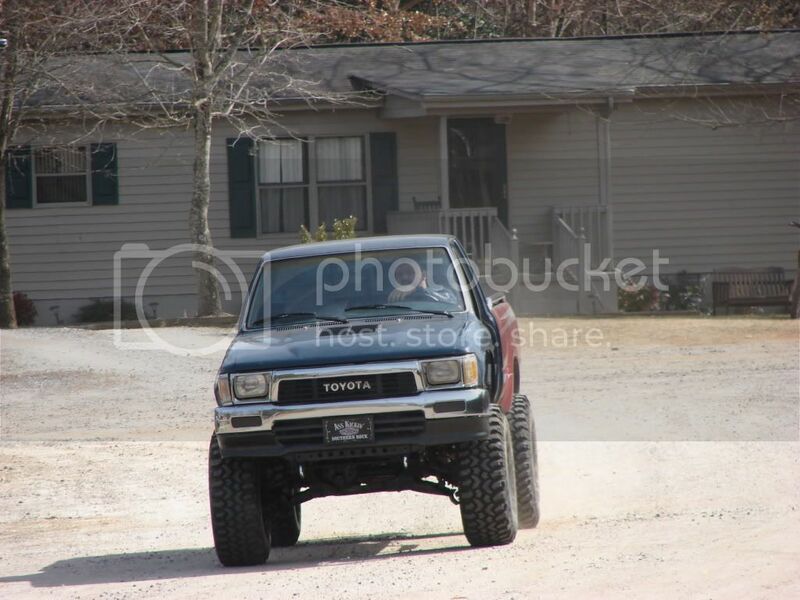 I am new to the Toyota builds, so I will be asking for advice along the way. LOOKIN GOOD!!! was mike able to help you out? He only had a pre-92 dash, which is the one piece. Thanks for the help though. He was very nice and helpful. ahh dang.. well sorry he couldnt help the truck looks good though!!! I just thought I would give a little update on this project. It has been on hold while I was finishing my wife's Samurai build. In the meantime, I have been collecting parts for this build. 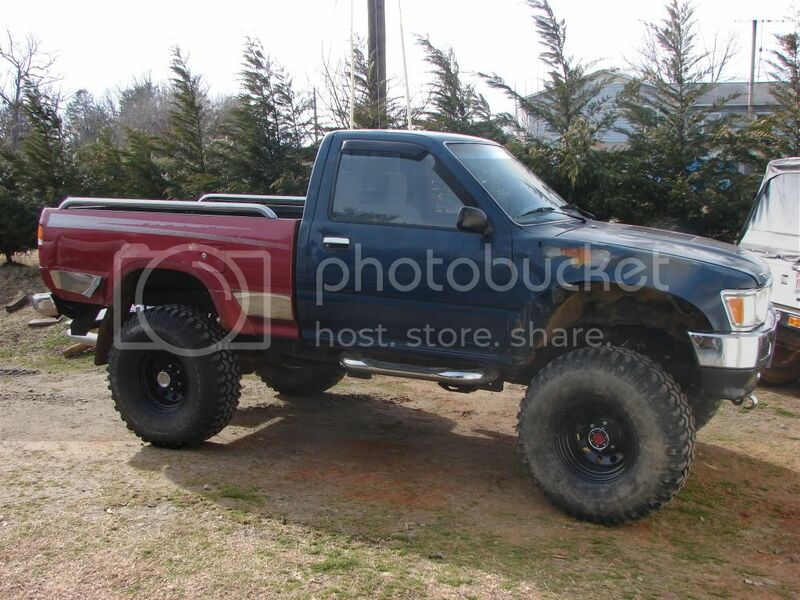 However, I have changed my mind in regards to what I want this truck to become. 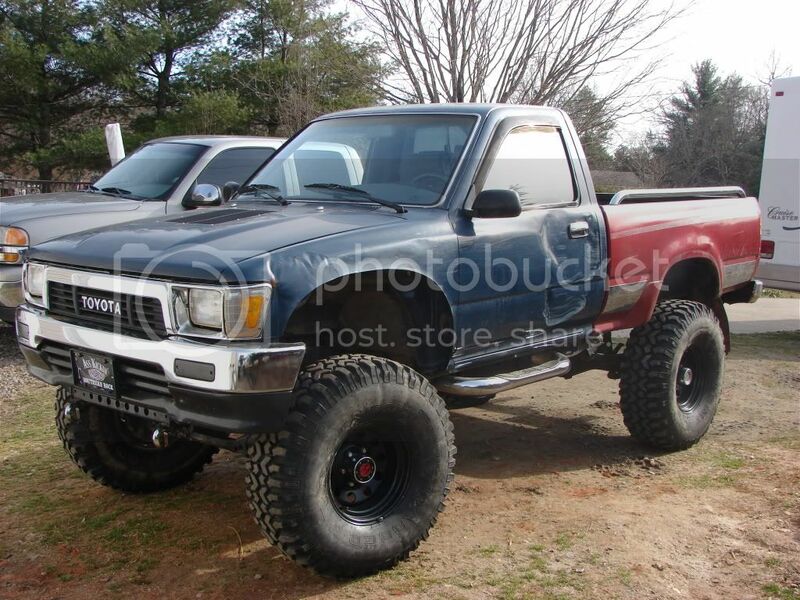 I want to run 37s or 38.5s, which means the 4.30 Elocker and front diff will not work. I know I need to run 5.29s. So here is what I have collected in the last 2-3 months. I bought Brian's front axle from his 89, which I was planning on running after changing the diff to 4.30's to match the Elocker rear. Now, that plans changed, I have bought a set of built axles. Basically, I only need tires, wheels, and front shocks. I would like to buy new BFG KM2s and find some beadlocks. However, I have a question about the front shocks. I have a tube bender and plan to bend custom shock hoops for the front. Do you guys think I should run Bilstein 12" or 14" shocks on the front? 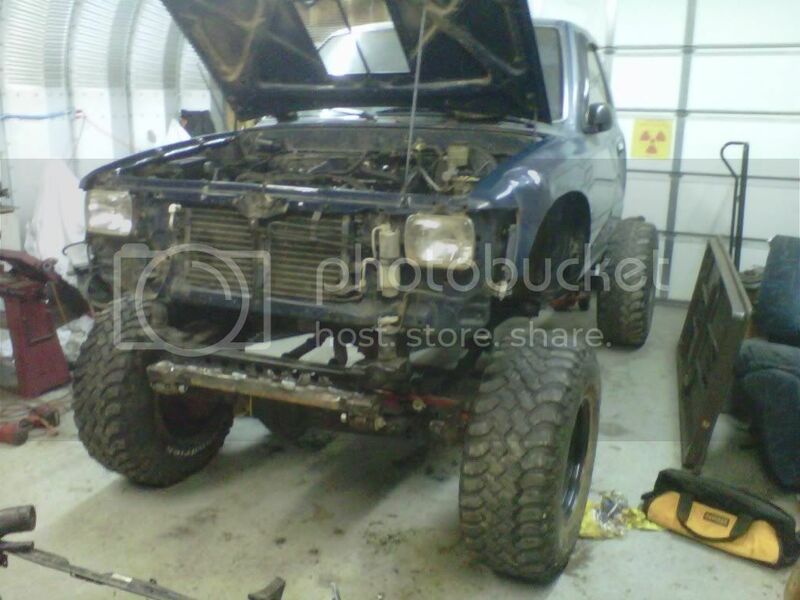 I am new to this and this is my first Yota build. ALL ADVICE IS GREATLY APPRECIATED. Thanks. This build has taken another turn. I bought the green extended cab from UNBREAKABLE, so I am putting it on my regular cab frame. I now have the dual case set-up complete. I removed the bed tonight, and started getting ready for the cab swap. Once the blue cab is off, I am going to install the dual cases, BudBuilt cross member, and do the SAS with the axles I purchased. I will post up pics later. I have a few more things to collect. I hope to have the cab off by this weekend. I have now completed the SAS. I have postponed the cab swap for now. 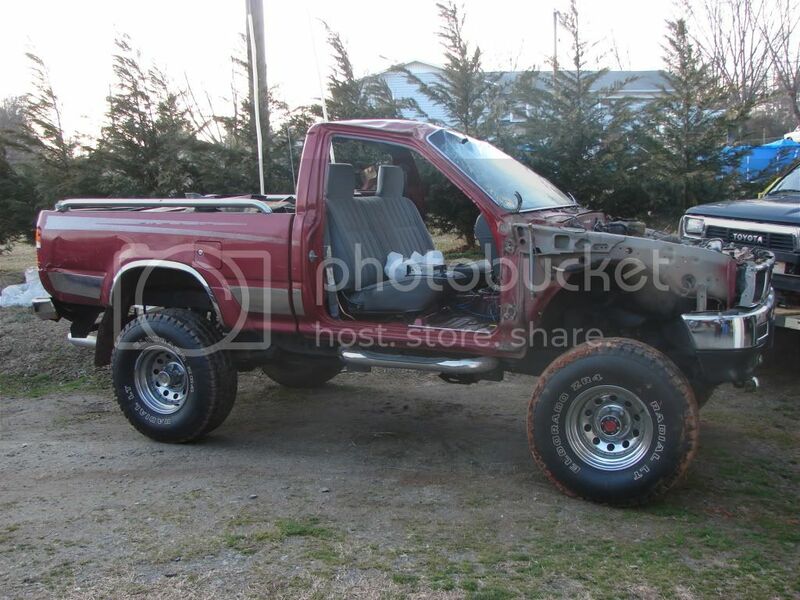 I would like to get the duals installed and get it wheelable ASAP. I hope to have it ready in a few weeks. I have gotten the SAS complete, but I am still waiting on my shackles to complete it. I used these axles for moch-up, but I need to switch them out with my built axles. Here is a pic as it sits now. 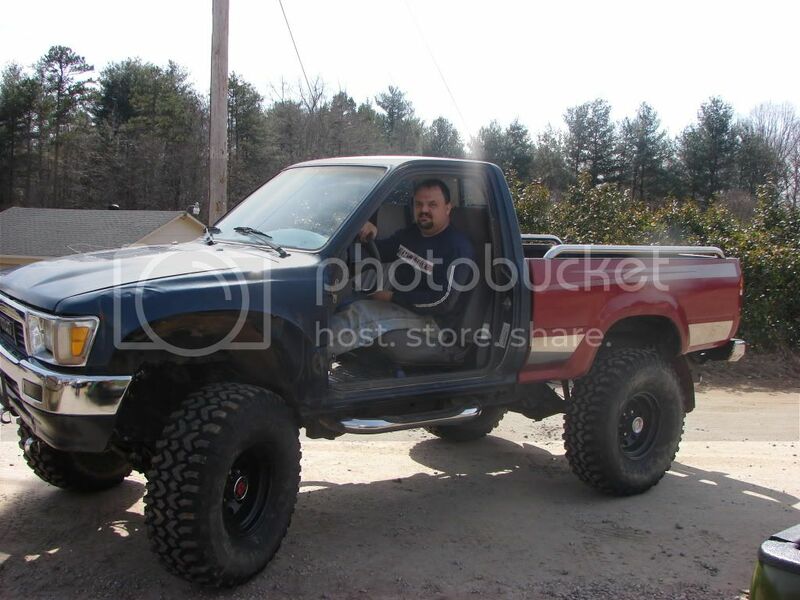 I hope to switch in the axles this week and start the shock mounts. I still need to install the duals and have driveshafts made. This truck was never finished. It was parted out and mostly sold. I kept the engine, transmission, and t-case. They were put in a 1992 Extended cab 4x4, which I now use as my DD. It is basically bone stock on 31s. I thought I wanted to get out of wheelin for a while, but that didn't last long.